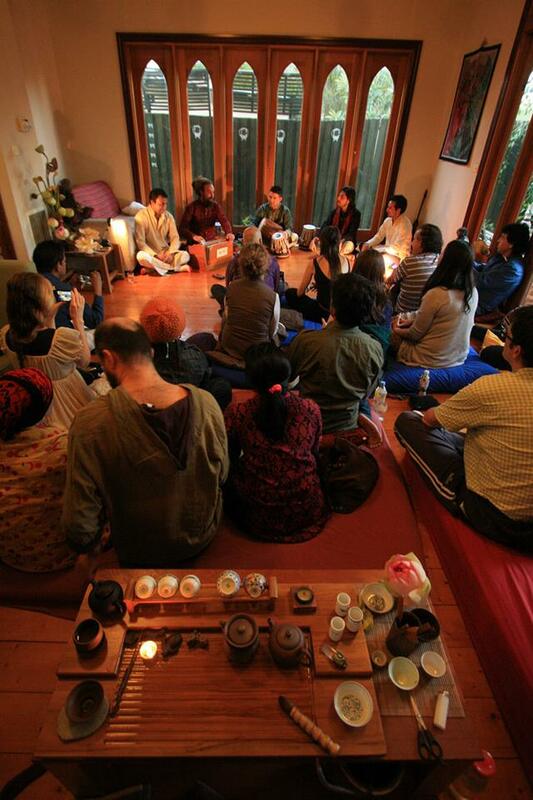 Having a gathering, birthday party, music concert, festival or retreat? 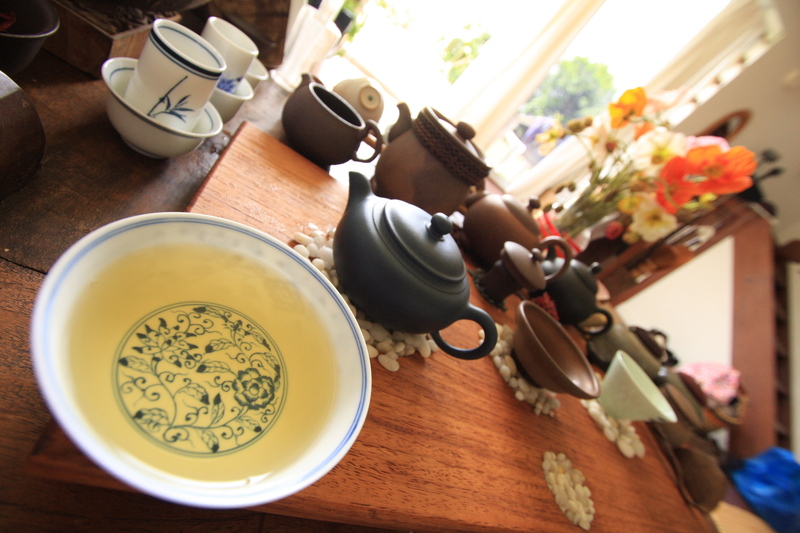 Would you like to enhance your gathering with premium quality high mountain oolong tea from Taiwan? 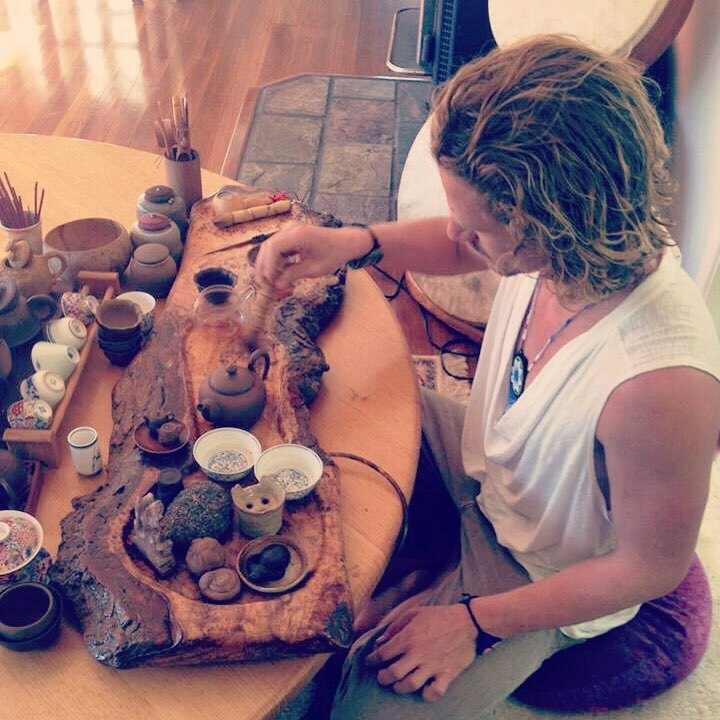 Tristan can offer tea at your event. 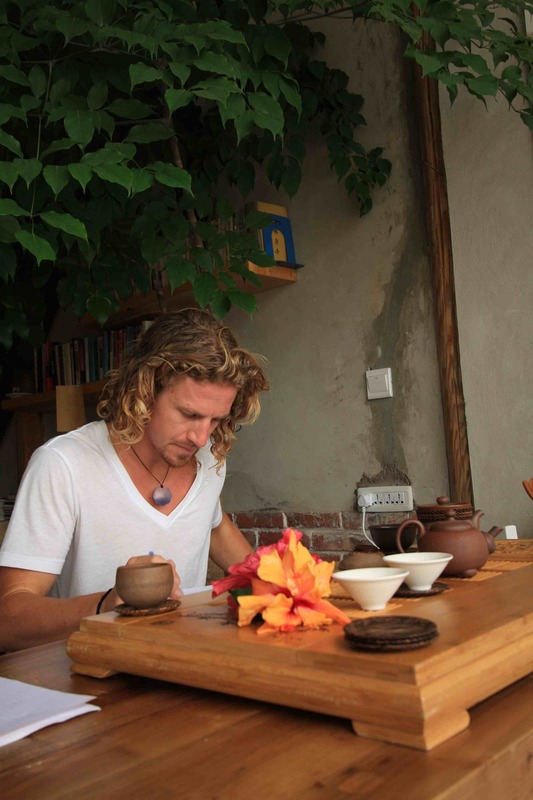 Tristan can serve up to around eight people at a time. 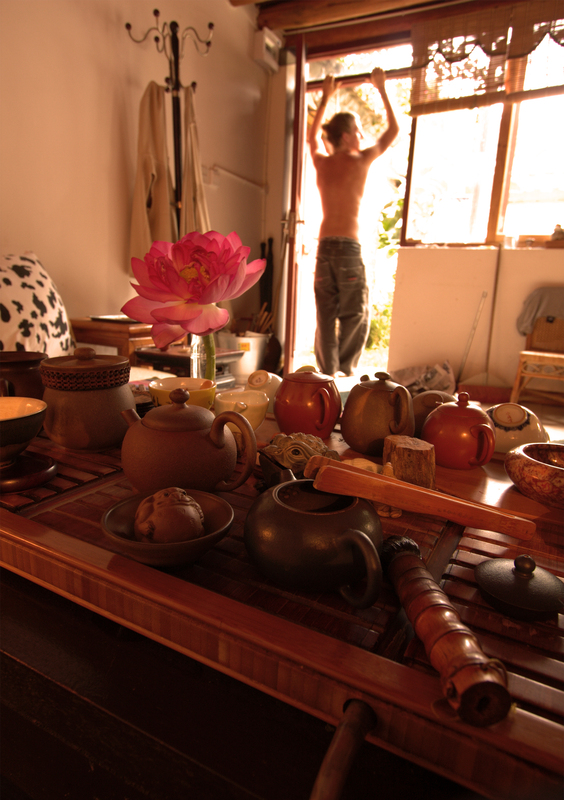 Prices can be negotiated depending on your situation, needs and tea consumption. 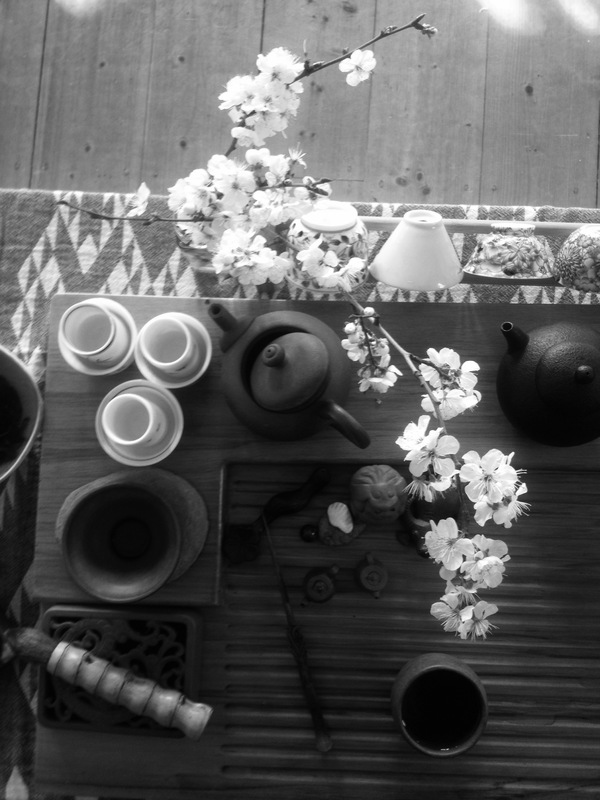 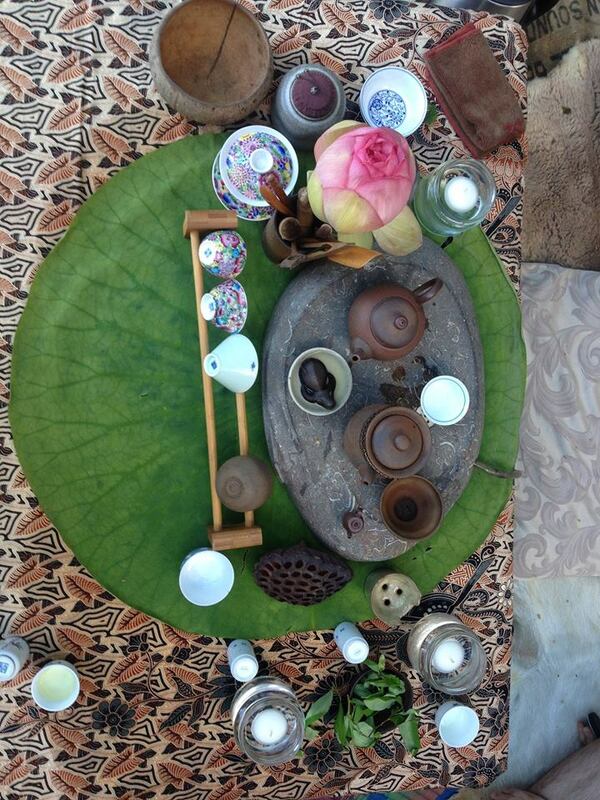 Having a cozy Oolong tea alcove at your event can really enhance everyone’s experience. 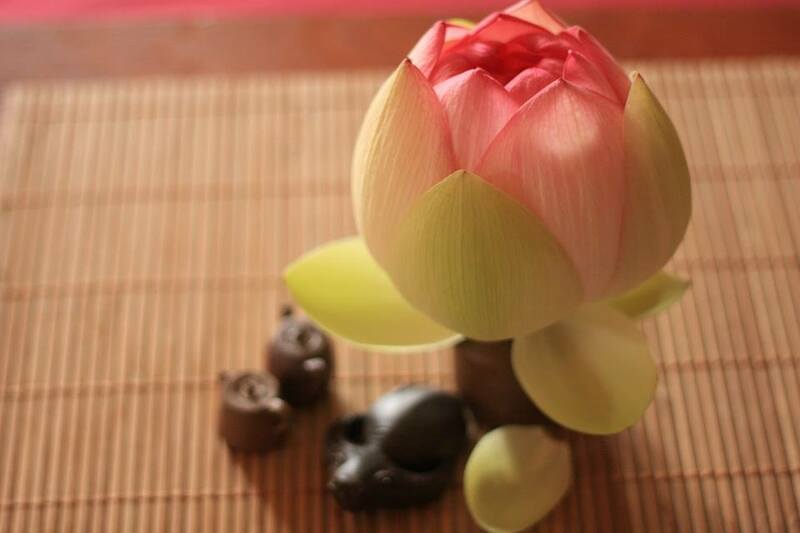 Its an artful treat to share with friends and a great way for people to connect and socialize. 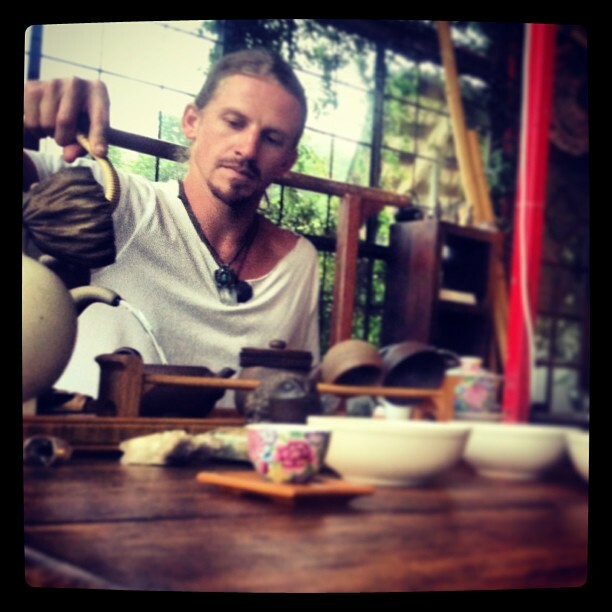 The only teas that Tristan serves are Organic, Non Counterfeit, Rare Teas that can’t be purchased in shops. 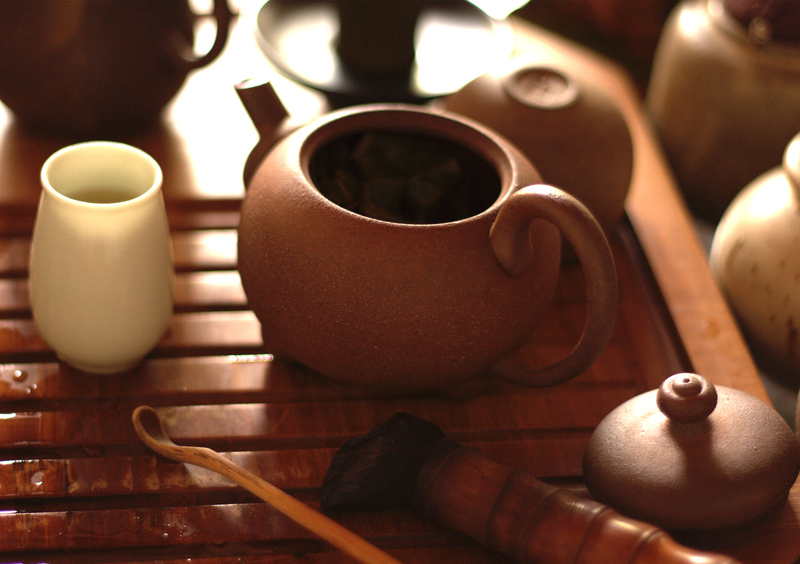 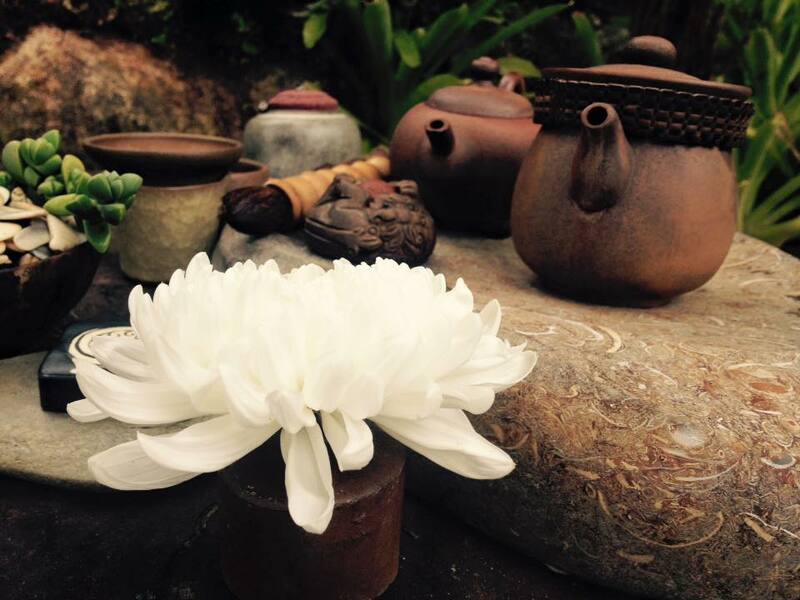 All the teas are sourced from a reputable Taiwanese family of Taoist Fine Tea Connoisseurs. 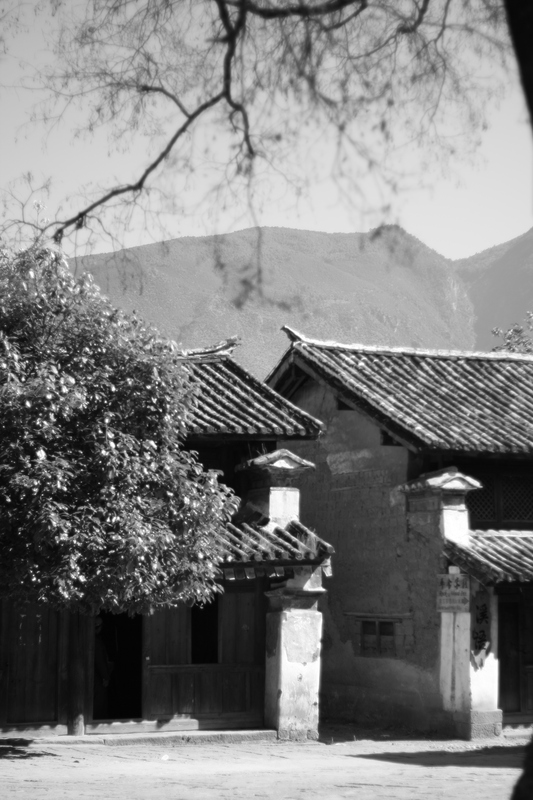 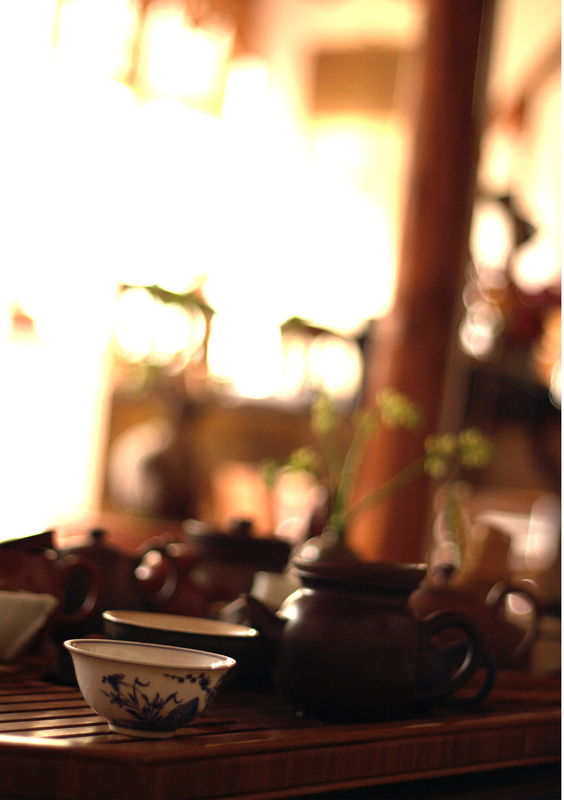 Tristan is also known to serve South Yunnan Pu’er on some occasions. 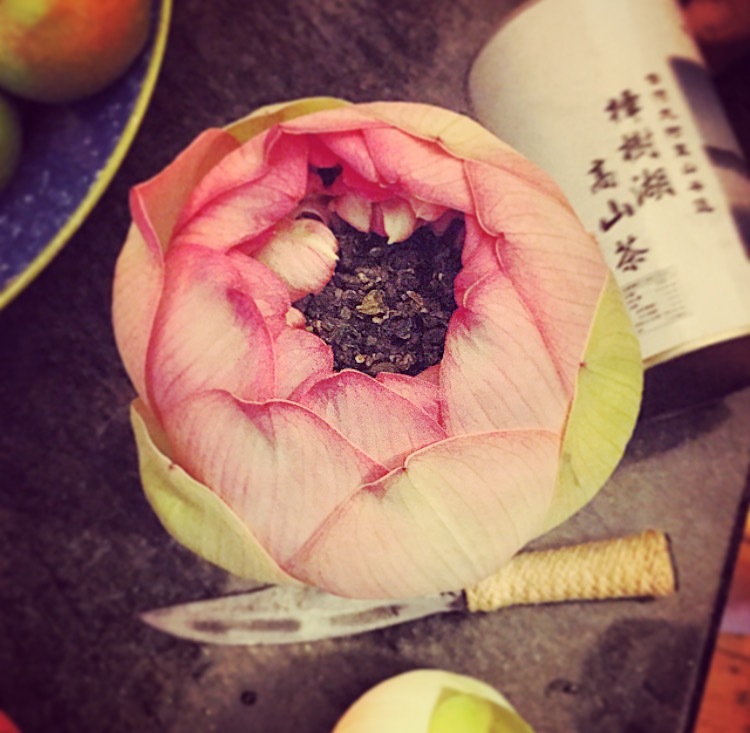 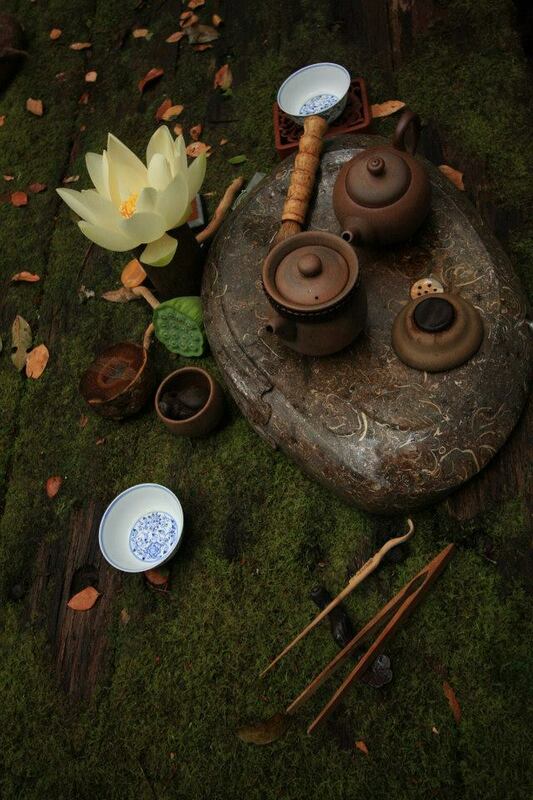 This is not tea ceremony. 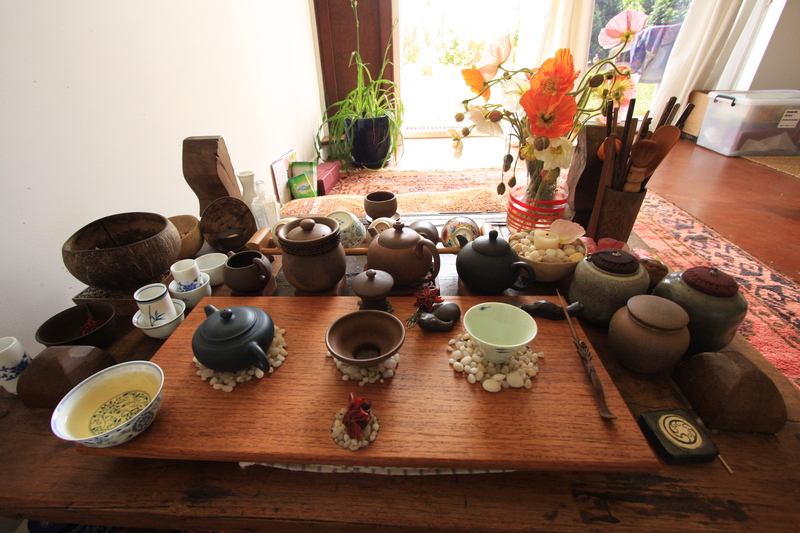 Tea ceremony with rules and all that is another thing altogether. 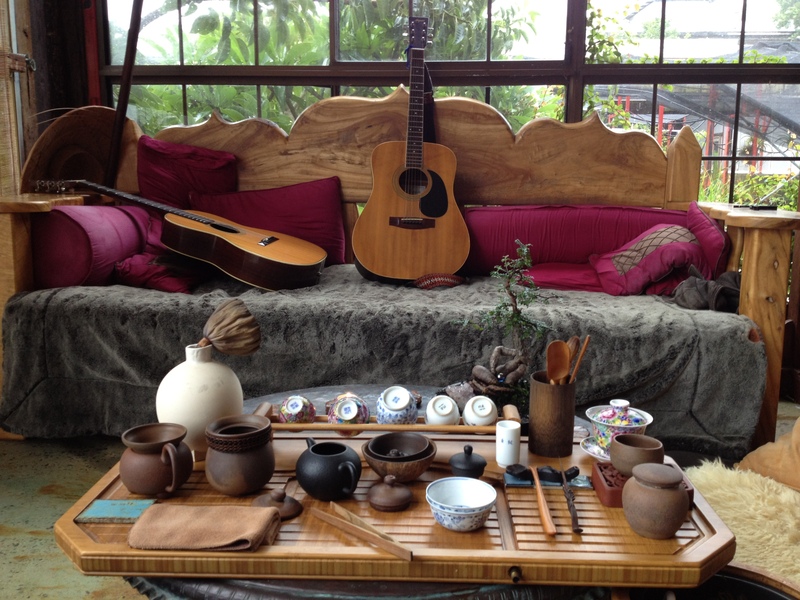 This is casual fun, artful Taiwanese totally chill-out relax tea enjoyment. 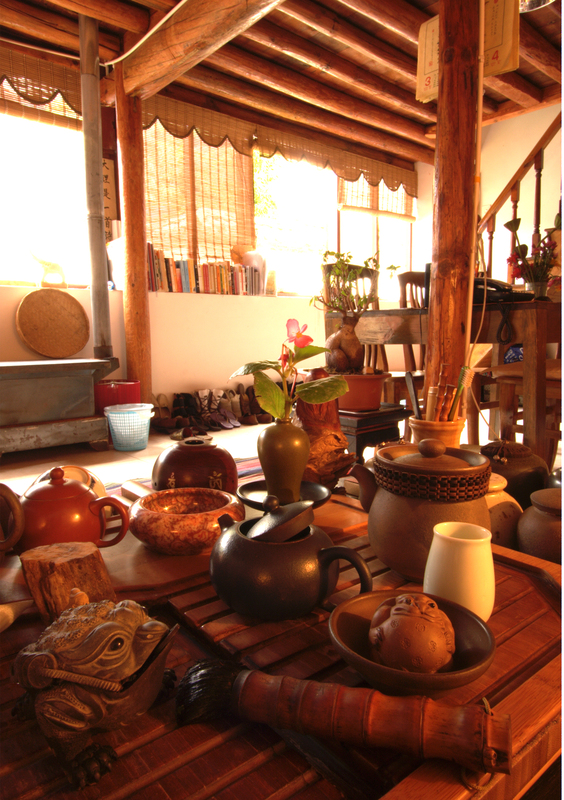 All you need to provide is a coffee table and cushions. 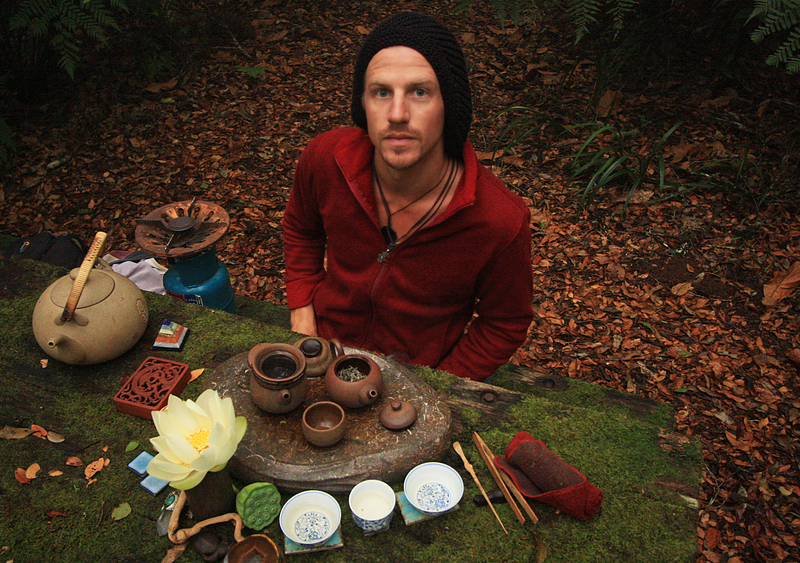 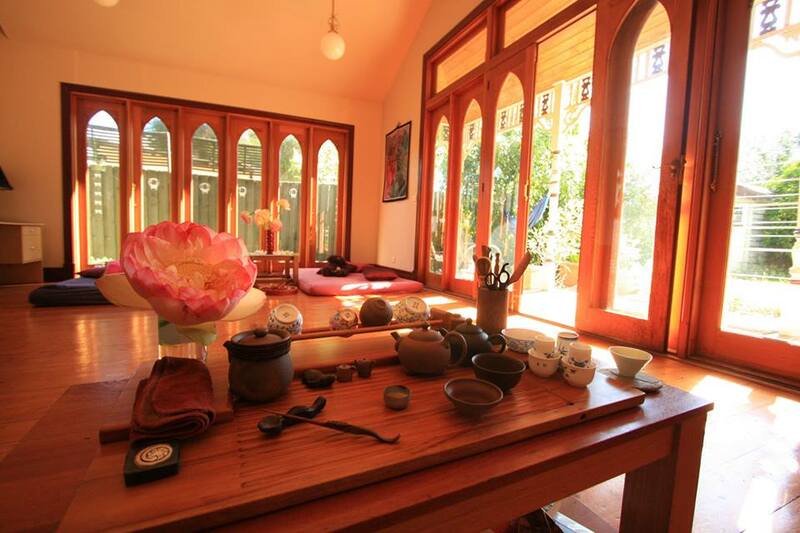 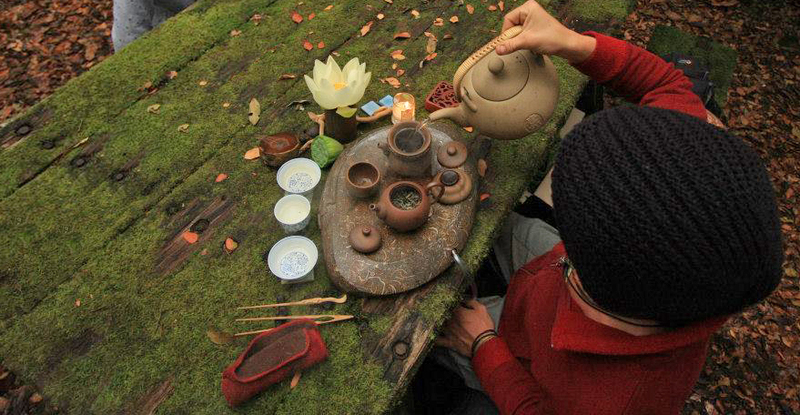 All the photos, above and below are of some of Tristan’s Tea set ups around the world over the last several years.